I have been using my Pumpkin and Poppy Oak Bark contour powder every time I have enough time to do foundation, and I LOVE IT. I love it I love it I love it. 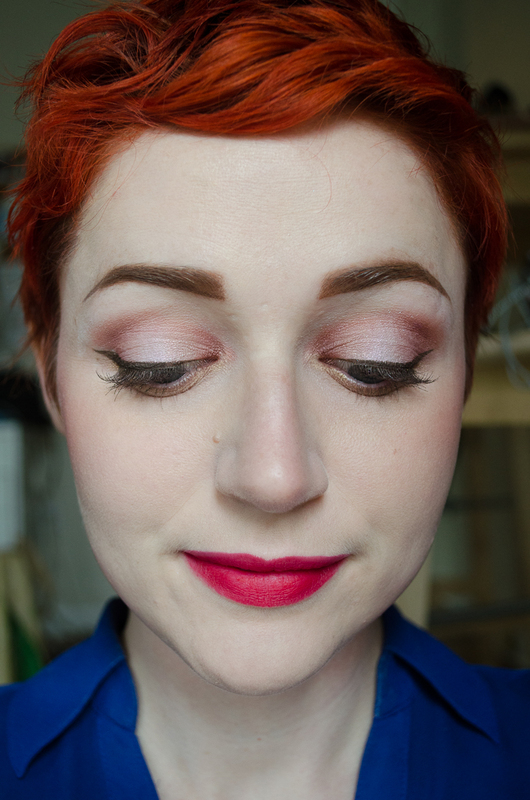 It has emphasized to me the importance of finding the right contour color. Once you do that, it just feels so easy all of a sudden. 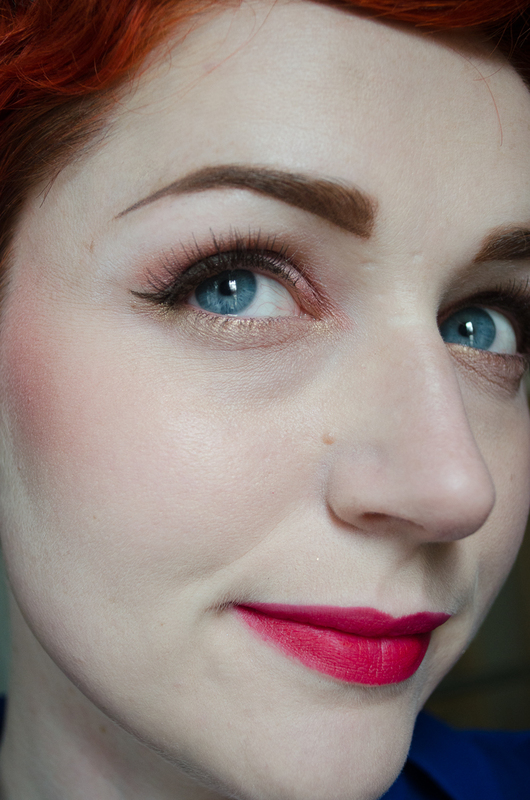 Blending it out into your skin actually looks natural, as opposed to feeling like you are fighting against it. I went slightly heavier on the contour this time but didn’t feel like I was approaching drag at 100 mph. This time around I applied it with a paddle blush brush (this lovely thing, it’s angel fart soft) to pat it into the skin and then very gently buff it out with a fluffy brush, and this helped me be a little more precise than when I apply it with my goat hair fan brush. Who has two thumbs and gets to have cheek bones? This chick. 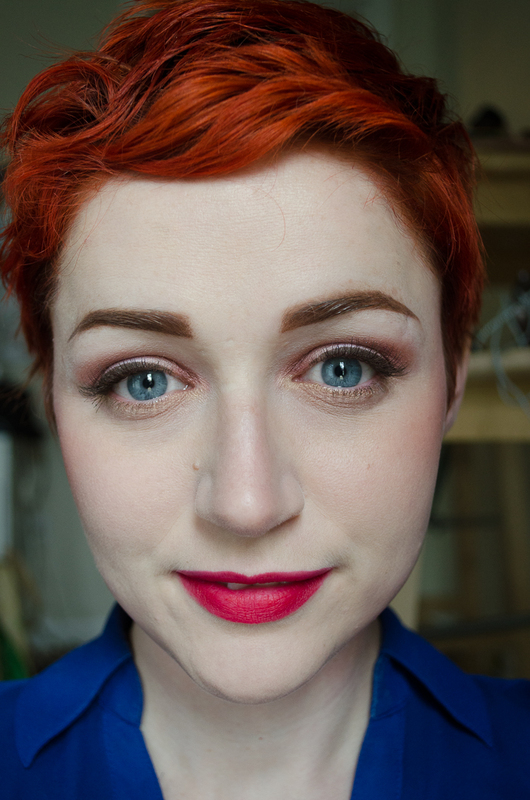 My look today isn’t entirely indies, but this is just because I don’t have any red indie lip colors yet. 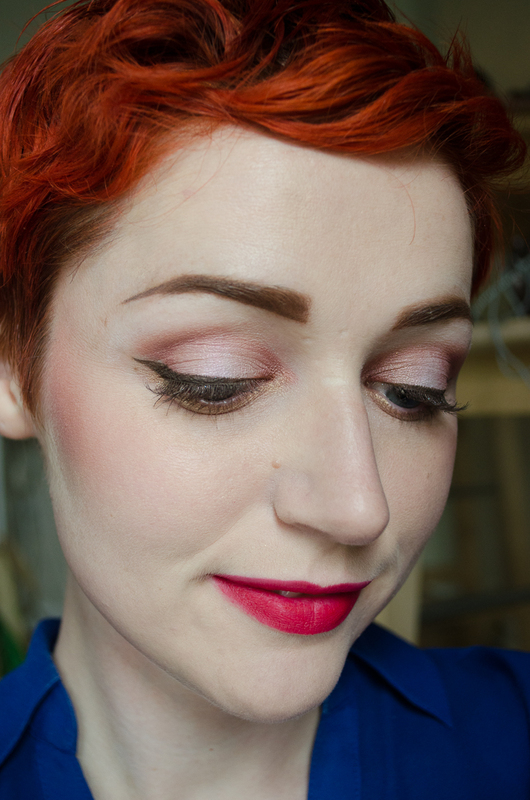 So NARS Dragon Girl it is! This was the first real red I ever bought, so it will always be dear to my heart. 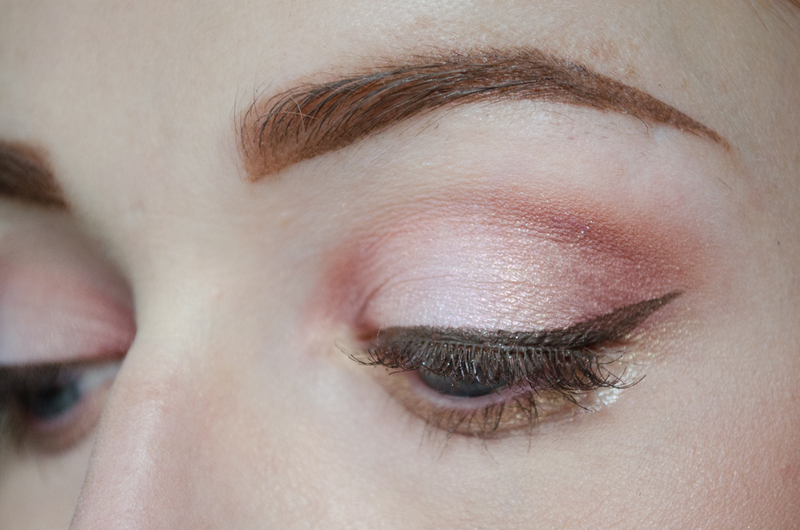 On my eyes I used Fyrinnae Crimson Ghost in the center of the lids, Hello Waffle Mendelssohn just outside of that, Fyrinnae Housework Pearls just outside of that, some Fyrinnae Orangutan on the outer and inner corners, and then a bit of Shiro Mother of Dragons in the outer and inner corners as well. 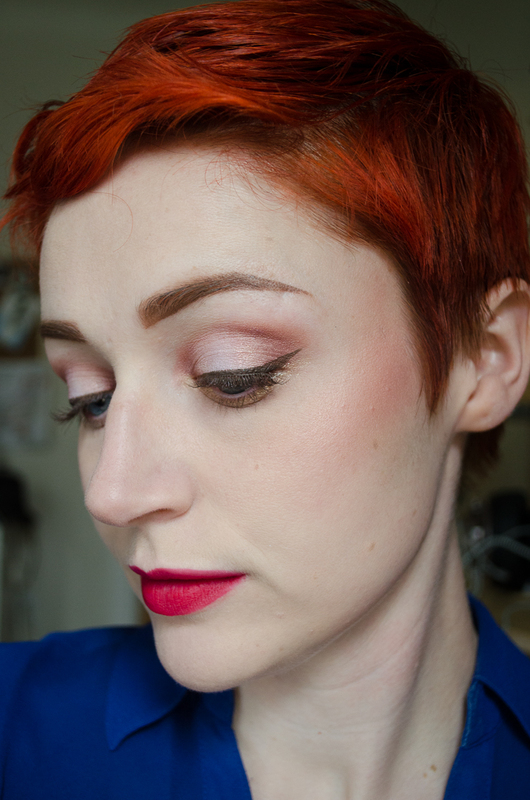 I added some Shiro Little Bird into the crease, and then Femme Fatale Sandscale on the lower lid. I didn’t end up using any glitter adhesives for this look, because I wanted everything to be a bit softer and blend together. I’m pleased with how my loose shadow skills are starting to come along. They are absolutely more challenging to use than pressed shadows, but I feel the trade off is that they are MUCH more versatile. I have a Darling Girl mixing fluid coming sometime soon that should give me more flexibility with making some killer liners from these shadows as well… but I need plenty of time to get the hang of applying gel liner with an angled brush anyway, so I can’t be too impatient.